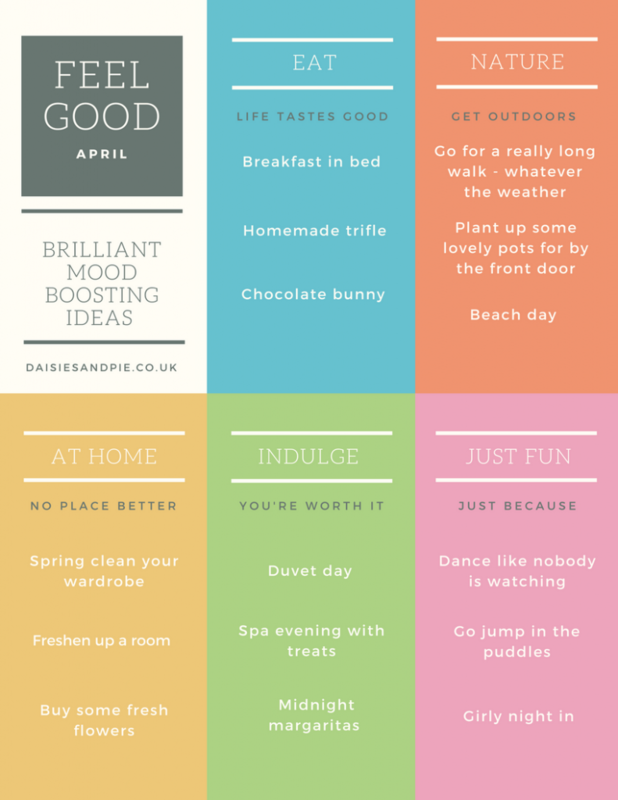 We love to feel good here at Daisies & Pie and so we’ve put together a brilliant Feel Good list for April. Mood boosting activities that are easy to work through and that leave me feeling just great! So – here’s what’s on my feel good list for April…. Put together a little breakfast tray, make some coffee and head off back to bed to enjoy in lazy comfort. Make a retro homemade trifle – pile on the hundreds and thousands and chocolate flake and be generous with your portion – grab the easy retro trifle recipe here. Eat chocolate bunnies. It’s Easter. It’s the rule. Go for a really long walk – whatever the weather, it feels great to get outside. Plant yourself some nice planters by the front door – go for plants that smell lovely and make you feel happy as you pass them. Have a beach day and don’t skimp on the ice-cream and fish-n-chips. Spring clean your wardrobe, organise your spring and summer clothes, work out new outfit combinations and just have fun with it. Freshen up a room – this can be as simple as a good spring clean or something a little more like adding new soft furnishings, curtains, or a fresh coat of paint. Buy some fresh flowers for the hallways – beautiful tulips or daffodils. Grab our spring posy tutorial here. Duvet day – these are just amazing – check out our latest one here for a little inspiration. Spa evening at home – pick up some face packs, conditioning treatments or new bath oils and head for the bathroom for a little pampering. Midnight margaritas…. my favourite film since just FOREVER is Practical Magic and the midnight margarita party has always called my name, it’s such fun! Get the margarita recipe here. Dance like nobody is watching, even if they are. Go out in the rain and jump in the puddles – you’re never to old for this! Throw a girly night in – add wine, nibbles and great feel good films. 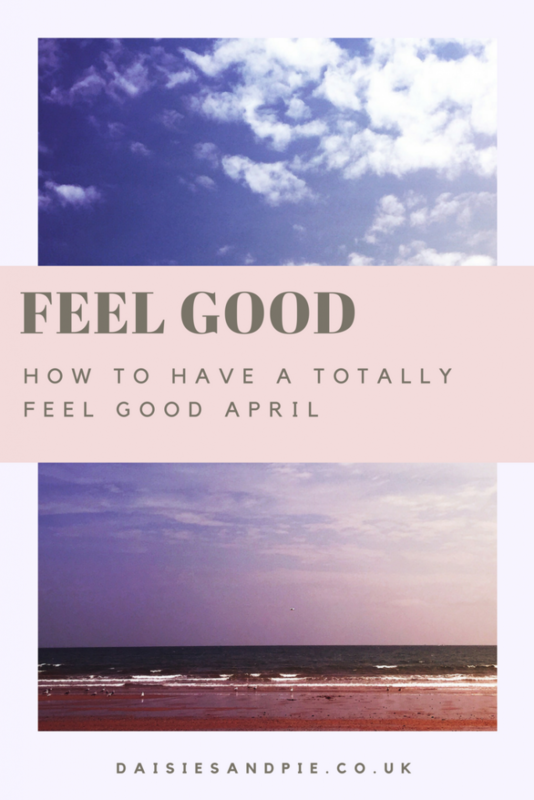 Grab the Feel Good April printable here.